Home / Career Options / How To Become a Plumber? Want almost Guaranteed Employment? Become a Plumber! If you are interested in finding out how to become a plumber, you are not the only one. These days, even in a slow-moving economy, the plumbing trade is extremely popular and fruitful. Just go ask John Ratzenberger about that! The key is preparing as early as possible so that you can better your chances of acquiring a suitable plumbing apprenticeship. There are certain steps that you will need to take to be eligible to get an apprenticeship as a plumber. You should keep in mind that requirements for the job may vary from state to state, but the majority follow the same general rules. 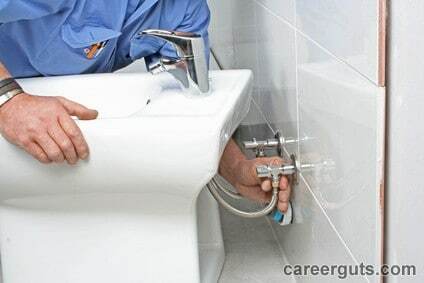 To become a plumber, the first step that you will need to take is to become an apprentice. To determine your eligibility, you will need to meet most or all of these requirements, depending on your state. If you are interested in a career in plumbing, graduating from high school is essential. Apart from this, most employers and unions look for skilled workers who are proficient in math. While it is not a requirement, being good at math, the metric system and geometry will give you an edge over other candidates while looking for employment. You should keep in mind that the plumbing industry has become extremely competitive. Employers looking at applicants to become plumbing apprentices will also ask for ACT scores, at the math section in particular. If you obtained decent scores there, you will be given a closer look than someone who received below-average scores. But if you are willing to work hard and remain motivated, you can become a plumber. You do not need to have a college degree to become a certified plumber. However, programs at technical schools and colleges that are geared toward the profession are highly recommended and will help in getting you into a fine apprenticeship program. Most of these programs are very competitive and help you train to be an excellent plumber. In every state, the mandatory requirements, plumbing courses and the total number of hours that you need before or during an apprenticeship. In other words, it may be necessary for you to complete a course or two before you obtain an apprenticeship. This is the third and most important step to becoming a plumber – The Apprenticeship. This is normally run by the plumbers union in your area and offers the best training for the profession. Technical schools and plumbing courses are helpful in giving you a base of knowledge, but training you get in the classroom combined with real world hands-on experience you will soak up from a master plumber is unmatched. Plumbing apprenticeship programs are available to anyone with a high school diploma and is 18 years of age. However, some programs allow apprentices in at 17 years if they are high school graduates. It will take anywhere between 4 to 5 years to complete an apprenticeship and programs also have a minimum number of hours you will need to log as an apprentice. Additionally, apprentices are required to have a minimum of 144 hours of related hours in the classroom that may or may not be offered by the plumbers union in your state. If they do not, it will be necessary for you to find your own plumbing program or courses to go with your on-the-job training. If you want to be taken on as an apprenticeship, you will need to apply via a written application and if it is required by your local union, take an aptitude test. Although it sounds simple, you need to keep in mind that the plumbing is a competitive industry and there may be hundreds of applicants for just a spot in an apprenticeship program. Scoring well on their aptitude test and on the math section of your ACT will be of significant help in getting you into a program as an apprentice. It is also worth keeping in mind that if you are not accepted into an apprenticeship program at your local union, you can get in touch with master plumbers running their own businesses in your area and ask them if you can work under them as an apprentice. It is also important to log your apprentice hours as you will need to meet a minimum number of field experience hours. As mentioned, the requirement in every state is different, so make sure that you check with yours to be sure. 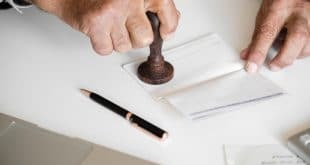 A duly signed affidavit from the master plumber, you trained or worked under which verifies the number of competed working hours and his plumber certification number. Completion of classroom hours to take the state exam. 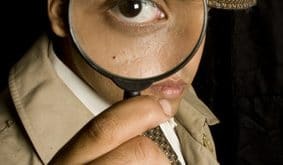 Registering for the Journeyman Plumber’s exam in your state. Once you have taken and passed the exam, you officially become a certified plumber. If you are interested in the field and think that you may have the skills to become a solid plumber, you should consider it as a career.